Dubai: Over the years, the number of millionaires and multi-millionaires has increased exponentially. And as their wealth continues to grow, the business-minded leisure class travel the world a great deal, snapping up luxurious mansions and penthouses on foreign shores to diversify their assets. But where do the world’s wealthy plutocrats park their money? According to a new study, many of today’s members of the upper echelon of wealth are desert-seekers, who are more likely to splurge on a villa, an apartment or hotel residence in cities like Dubai. The latest report by research firm New World Wealth showed that Dubai remains one of the favourite destinations for the super-rich who are on the lookout for second homes, ranking fifth globally for the second year in a row. Based on the estimated number of multi-millionaires who have bought second homes around the world, Dubai emerged as more popular than other notable havens of the super- rich, such as The Hamptons, Paris, Monaco, Los Angeles or Palm Beach. Overall, New York was declared this year’s top city for second home markets for multi-millionaires, edging out London, which occupied the number one spot last year and fell to the second position in 2018. The British city saw a record number of millionaires abandoning their homes in favour of other destinations overseas in 2017 alone. Multi-millionaires refer to individuals with a net worth of at least $10 million (Dh360 million). 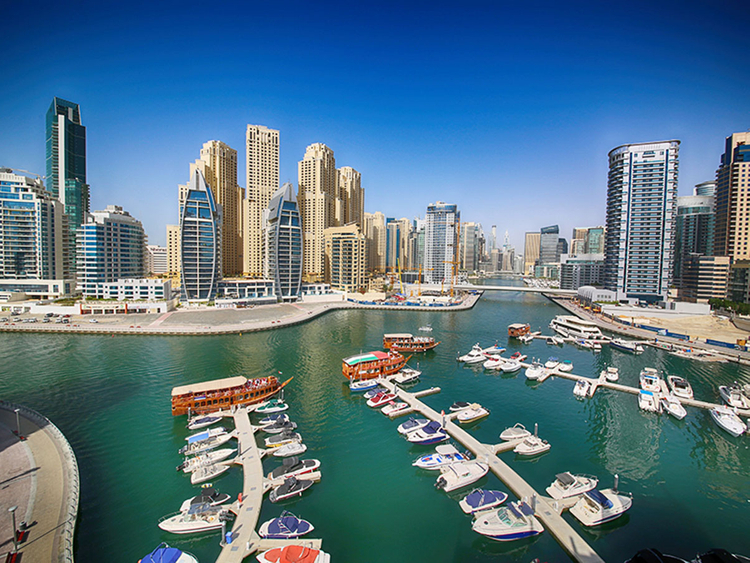 At least 33,000 millionaires based abroad have bought second homes in Dubai. Also popular this year among the wealthy are Hong Kong, occupying the third spot, followed by Singapore in the fourth place. Premium properties in Dubai cost around $7,800 per square metre as of June 2018, offering more attractive options for the city-seeking rich. Units in the emirate are currently cheaper compared to other markets such as Monaco, the world’s most expensive city for the super-rich where top-end apartments cost $49,000 per square metre, or New York, where a second home can cost $34,000 per square metre. According to New World Wealth, Dubai isn’t just popular among multi-millionaires who are looking for second properties, but high-net-worth individuals (HNWIs), those with wealth of at least $1 million, as well. So far, approximately 33,000 HNWIs based in other countries have second homes in the city, according to the research firm. The number doesn’t include the thousands of non-Emirati millionaires who have opted to live in the city. “We estimate that around 55,000 millionaires live in Dubai currently,” said Andrew Amoils of New World Wealth.